Always liked this bloke and was delighted when he signed for Pompey. A great keeper, he pulled off some ridiculous saves. Seemed a real gent and gave us some great memories in the Pompey glory days. My favourite Pompey player ever. Incredible heart and grit. Knew his limitations and knew what he was good at. Flying down the wing from Left back or left wing, viscous dead ball delivery and free kick ability. Long range shooting wasn’t awful either. A lovely bloke who is massively underrated in my opinion. Carried that defence in our first couple of Prem seasons and scored a great header in the first 4-1 v Scum. Now a forensic detective in Holland! A world class performance alongside Aaron Mokoena at Wembley v Spurs ignited his legendary status at Pompey and he’s solidified it further with his clear love for the club. Slapped up some Scummers, drilled the ball into their crowd at point blank range, what more can you ask for! A Brazilian Number 10 trapped in the body of a gangly Algerian left back. Unbelievable energy levels, no little skill and ridiculous stamina. Scored a beautifully taken goal in the last 4-1 v Scum and won more hearts than he did points whilst at Pompey. What a bloke. We only had him briefly but I’ll never forget his brilliance. A brief substitute constituted his debut at Fratton Park but he set the turf on fire and excited everyone in attendance. Backed up his promise with an absolute worldie against Charlton and was a crucial part of The Great Escape. Probably the most gifted player I’ve seen in a Pompey shirt. What a guy. His last minute doozy v Man City to ignite the great escape is my favourite Pompey goal ever. He was a brilliant little technician who seemed to find his groove at Fratton. Named my cat after him but when I have a child he (or she) will also be called Pedro. My first Pompey hero when I was about six, he was a midfield general who strutted around Fratton Park being cool. Met him when I was a mascot and loved his Jamaican accent. 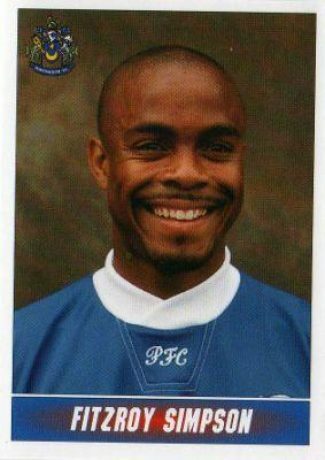 The first Pompey player I pretended to be when playing as a kid. Youth product, Pompey in his blood and carried the club singlehandedly through our most horrendous period. Loved his passion and his ability in a time when it would’ve been easy to jump ship with all the other mercenaries. Currently running the show in the Championship, hope to see him back one day. My first live viewing of The Yak was at a friendly away at Kilmarnock. Unsurprisingly he absolutely ruined the Scottish part timers and I couldn’t wait to see him against an actual football team in the Prem. As expected, he lit up the Premier League. When he was in shape and hungry this bloke was unstoppable. The best Pompey striker of the last 20 years. Can still hear his song in my head because it was so catchy! The first slightly prolific striker of my Pompey supporting career and the first one I remember really admiring. We haven’t been blessed with many outstanding strikers in my time but he’s one who always sticks in my head. Wonder where he is now? Pompey Elevens celebrates the rich history of Portsmouth Football Club and its players through a series of themed teams. The site is blatantly 100% unofficial.